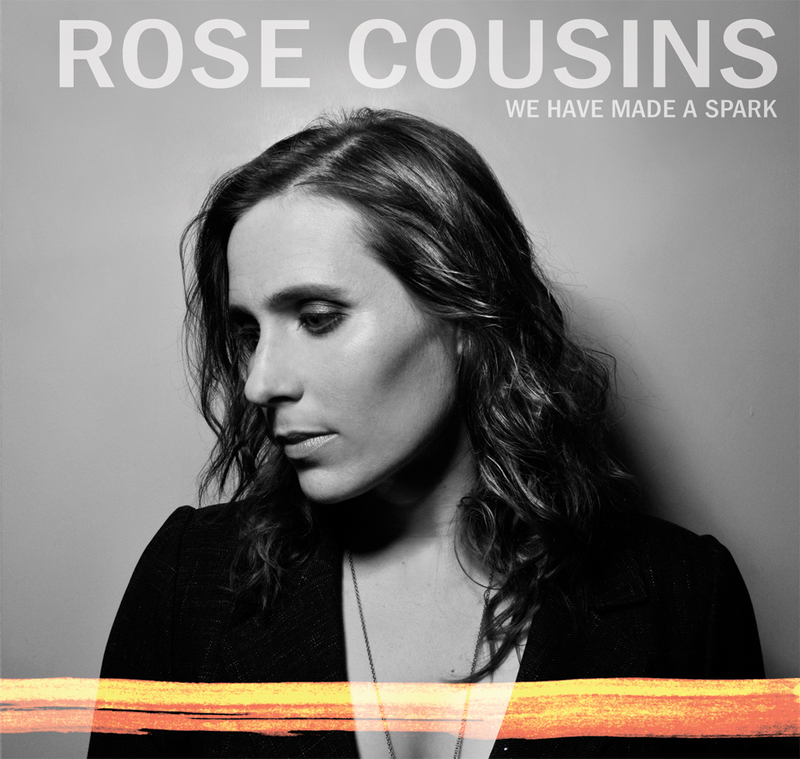 It turns out that Steve Gates’ A Bee In Her Mouth and Rose Cousins’ We Have Made a Spark have more in common than a release date and Cousins helping out Gates with his album. Both LP’s are made powerful by the strength of the community behind them. In Rose Cousins’ case, it is not only Halifax that supported her, but also, of all places, Boston. With a great network of friends both in Canada and the United States, Cousins assembled a big team for We Have Made a Spark. And some sparks do fly on this album, the third full-length by the Halifax singer-songwriter. Cousins gravitates between full-band numbers (usually guitar, bass, drums) and piano ballads often backed by strings. The album has two songs with juxtaposing song titles- “The Darkness” and “This Light.” The songs are treated quite differently but are dynamic as a pair. “The Darkness” is the album opener and begins with just Cousins’ vocals. As it kicks into gear with a banjo as the most prevalent instrument, it takes on a very dark atmosphere, true to its name. In contrast, “This Light” is supported by nothing more than a piano. Cousins’ voice is the standout of this song, and just like the song it’s named after it has a very hopeful tone. “If I Should Fall Behind” is a song sung as a duet, and is a tribute to the Boston music scene. Cousins recently released a twenty-minute film of the same name. See it below should you have the time. We Have Made a Spark is a moving, pristine package. The power of this album is one that can only be obtained through a talented group of musicians and a good host of friends. You can get the album through Rose Cousins’ website. Great review! You should review The End Of That by Plants And Animals. I reviewed it on my blog if you want to take a look!